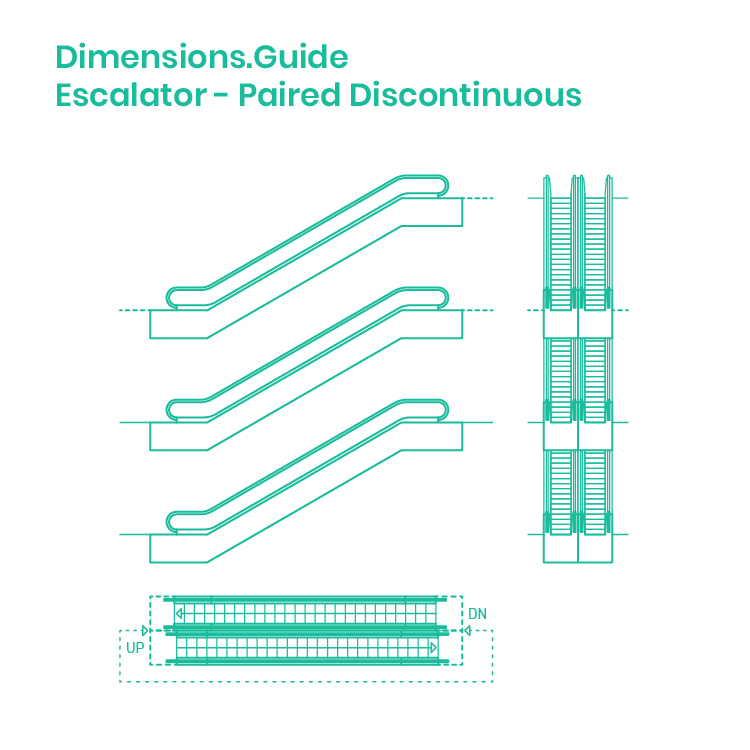 Paired discontinuous escalators are stacked parallel banks of escalators that connect levels in both directions. Like single discontinuous escalators, but with a second adjacent escalator traveling in the opposite direction, this strategy is not efficient for people looking to travel quickly between levels as the circulation requires the user to travel to the opposite landing to continue moving vertically. Paired discontinuous escalators are generally used in small department stores and retail centers where the arrangement requires that customers spend more time inside the retail space.